There is an old adage, "A stitch in time saves nine." When a child suffers from allergic symptoms, if we apply anti allergic drugs, the symptoms subside but the intensity of diseases increase day by day and we ultimately take the help of steroids, which damages the capacity of the immune system to fight bacteria and viruses and their toxic products. This helps the children to be attacked with more virulent viruses and become store house of toxic deposits. This leads our children towards more severe diseases and end up in cancerous diseases. Instead of using anti allergic drugs, if we use homeopathic medicines which help the liver to digest the toxins and throw them off through the excretory system, the toxins cannot reach the skin to produce allergic symptoms and child will grow up with a healthy immune system to fight with all types of bacteria and viruses which lead us towards cancer by changing the DNA of healthy human cells. If we, the homeopathic practitioners can convince the people about this simple beneficial aspect of homeopathy, the modern hospitals would not be crowded with sick people all over the world. The suppression of the toxins by the help of anti allergic drugs compels our physiological system to be saturated with toxic substances which cause the kidneys to produce renin to excite the heart to raise the blood pressure of human body to help increase the flow of blood through the kidneys and to get free from toxic products. 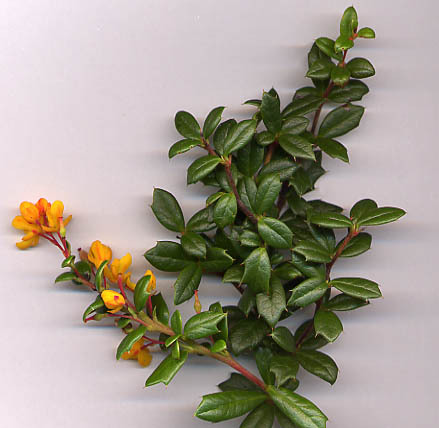 At that time, if we use Rauwolfia Serpentina, Berberis Vulgaris, Thalaspi bursa pastoris, etc. homeopathic drugs, the blood will be free from toxic substances and the kidneys will stop production of renin and the blood pressure will become normal (vide internet for Renin-angiotensin system). But according to the conventional medicine, medicines are used for vasodilation, ACE inhibition, calcium channel blocking, etc. which does not help to throw off the toxin like homeopathic medication and cause damage to the kidneys.This leads the people to go for the expensive system of treatment called hemodialysis. When innocent people start taking anti-hypertensive drugs for decreasing blood pressure, they do not know the ultimate goal of kidney failure and the painful expensive process of hemodialysis. Now most of the medicinal plants are getting endangered due to various causes. Since Homeopathy needs only a small amount of crude drug substances, it is more environmental friendly and economical.